If you want a new, premium steamer and still have change out of $300 to buy some new booties to boot, the Need Essentials 3/2mm Fast Dry Thermal Chest Zip Steamer is for you. If you want the best of the best, something that’s a bit more eco-friendly, or something with top-shelf finishing, then there are better options out there. You’ll just be paying a lot, lot more. 4-way mega-stretch 3mm limestone-based neoprene in the torso and upper legs. 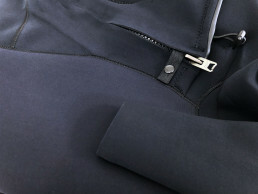 2mm mega-stretch neoprene in the arms for flexibility. Seams are glued, taped and blind stitched to seal against leaks while maintaining flex. Fast-drying polypropene thermal lining through the torso and upper legs for added warmth. This is for people who are tighter than a penguins pucker hole but still want to stay toasty like a polar bear's fur pole. That's not in any of Need Essentials' marketing, but it should be. There's a ring to it. Seriously though, as a 302 this suit is warm, flexible and fits well. Perfect for winter in NSW or WA. Some tough nuts in Victoria might also get through the chill in this if paired with boots and a hood. Fits like a pastry on a sausage roll – Snug and cosy. This suit is easy to get into, is plenty stretchy and has a good overall cut. I’d have to say the finish is a little messy with the internal seam seals having touches of glue run off here and there, but function wise it all works. I was doing epic old-guy cut downs without groaning from the strain, no probs. 8 out of 10 in this area. For comparison, other brands mid and bottom tier options that still cost more are about a 6 or 7. Rip Curl’s E-Bomb is a 9.9/10. 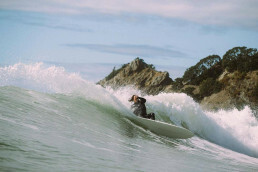 Warranty is a big part of buying wetsuits that we generally disregard or just straight up don’t think about. But it can save you dollars down the track, hence why we’re including it in our reviews. Need Essentials Wetsuit Warranty is 6-months on all stitching and seams, and on material defects which includes zips, knee-pads, and taping. This is an ok warranty given the price point, but it’s a far cry from the 3 year/12 months you get with Rip Curl/Billabong. 6/10 here. Also 8 out of 10. I’d give the warmest 302 I tested (the Billabong Furnace Carbon) a 9, and your 403s and 504s closer to 10. So really, 8 is pretty strong – up there with other top brands for sure. The seams are solid with just a few pinholes in the legs. The thermal lining is warm and seems to dry fast enough. If I had to liken it to another experience, I’d say it’s like strolling down the street in a chenille snuggy, without the dork factor. If you’ve got $240 Australian (you read that right), then hit the links below to get yourself a stealth suit for sale pricing. 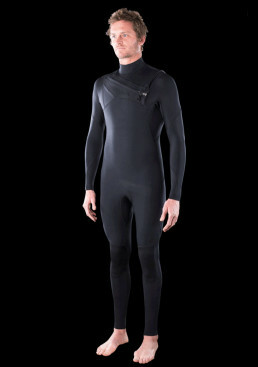 Alternatively, hit up our Winter Wetsuit Buyers Guide if you’re still a little undecided on what to buy. Hands down the best value suit I've tested to date. Not the best suit. The best value. You could always pay upwards of $600 for options that might be 10% better overall, but damn, this is pretty amazing. I'd say on par with this year's Hurley and Quiksilver top offerings, yet not as good as Rip Curl, Patagonia or Billabong's. 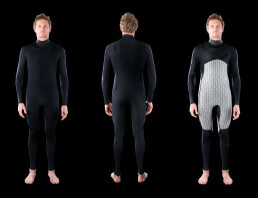 For those of you chasing a bit more info on wetsuits, Tim crafted a very tight Winter Wetsuits Buyers Guide that will give you the info on 4 suits he thinks takes the cake this year. Alternatively, if you’re going to be driving, give the Lipped Surfers Podcast a listen. Below is their Wetsuit Guide for 2018 where you’ll join Scott Boot (Billabong), Chris Branch (Quiksilver), Adam Brissendon (Rip Curl), John Hubbard (Patagonia) and Ryan Scanlon (Need) and find out exactly what’s happening in the world of wetsuits.